Maple Park Dental Centre is a general dentistry practice that teaches it’s patients how to practice good oral hygiene to help keep their teeth and mouths healthy. Our Wichita dentist, Dr. Warren Rensner is great with patients and loves teaching people about oral hygiene. Good oral care begins with brushing your teeth at least three times a day, and flossing once. Adding mouthwash to your routine can also help fight bacteria and germs that can grow into plaque on your teeth. It is important to start good oral hygiene routines early. Kids especially tend to have cavities from sugary foods and drinks they consume and should be taught how to properly brush their teeth and floss to prevent cavities. If children have good oral hygiene routines when they are young, they will continue with the same routine for the rest of their lives, and always have strong, beautiful teeth. One question that patients always have for the dentist is how to choose the right toothbrush and toothpaste. First, always choose a toothbrush that has soft bristles. Medium and hard bristles can scrape the enamel off of your teeth. Once your enamel is gone, you can never regain it and your teeth will become weak. Soft bristled toothbrushes keep your mouth clean and will effectively remove the plaque and germs from the surface of your teeth. Your toothpaste should have anti-cavity fighting ingredients in it. Today, toothpastes will say right on the label if they can protect you from cavities. You should also find a toothpaste that fights gingivitis in order to keep your gums healthy. 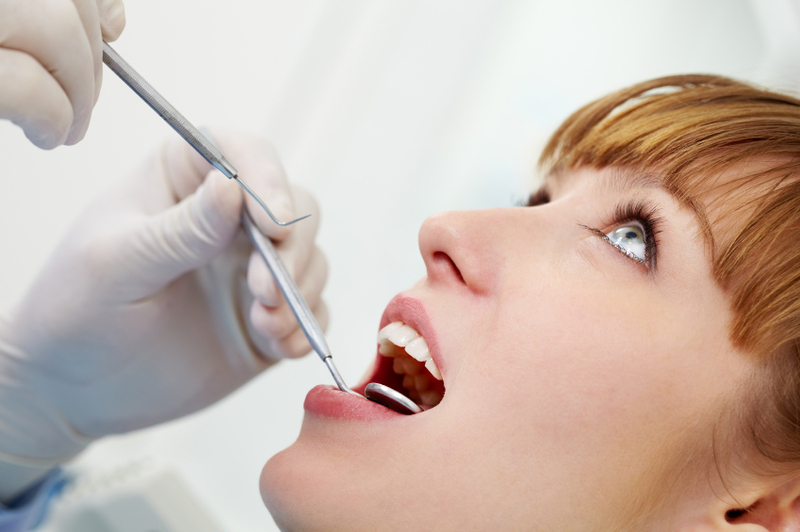 Call our office today to set up an appointment for a routine cleaning of your teeth.